Dr. Drema was in France when she interviewed me. She believes in living your life your way, to the fullest. A hip podcast talking about health from someone out of the fitness industry. Great show. I am particularly happy to be on Chanelle’s podcast to reach Moms about food, learning disabilities and children. Ever since I learned that 1 out of 2 of our children already have a chronic illness that they will have for the rest of their life I want to reach Moms. If you are a Mom, this is important information to know so that your children have a chance to grow up and thrive. Chanelle Neilson also has a transcript available to be read, which I love. This is pure fun. Roland is a soccer coach and determined to make teacher’s lives easier. I respect teachers enormously and was able to share a few health tips that might make their days easier and their bodies healthier. Roland is high energy and we fed off of each other, making this a totally fun interview. This was a fun conversation with a Dr. Dan who holds a Bachelor of Science in Nursing and is a Board Certified Naturopath who is in complete agreement with my approach to health. Energetic and great fun. A very good listen. Dr. Dan’s philosophy. He learned this from Jim Rohn, a famous leadership motivational speaker. I speak on toxic load which is the outcome of making poor choices day after day. When toxic load tips over the top, that’s when illness begins. This was my second time on Rustie MacDonalds show. I was just honored as a Spirited Woman book pick for the Month of January. book It Feels Good to Feel Good. When I got Autoimmune disease 7 years ago, I eliminated hundreds of toxins from my life over a 5 year period of time, and learned that each toxin eliminated was a step back to health. My book shares where I found the toxins and what I replaced them with. I want to help others with their journey. No one should live a life of pain and pills. This has become my mission and Nancy has supported me since the day that we met. I have been inspired by Nancy for the last year and 1/2 since my book was published. She is so heart centered. She makes one of a kind scarves that she designs and sells them as limited editions, and a portion of the profits go to different women’s organizations to help women in need. The scarves are treasures, there are women who have collected every single one, and her followers are all over the world. True Spirited Woman Power. To be on her book list means the world to me, because I believe fully in Nancy’s mission.. Please check out the Spirited woman and become a supporter. Nancy does so much good with her work. Her scarves are very special and make fantastic gifts. And THANK YOU Nancy for honoring me again as a Top 12 book to your extensive following. Much love. I am a monthly guest on Monique Chapman’s podcast Get Over It. I am her health expert. This week we discussed Fast Food and Processed Food This is definitely worth the listen. Jennifer is a coach and trainer but most importantly a Mom concerned about issues related to health. Great interview. Tamara is an amazing woman who has a video show right on Facebook. She has a cancer support group and she highlights others that she considers to be service hunter. My friend Dr. Marlena Sherman nominated me for this show, and it was an honor to participate in a small way in Tamara’s work. Do you want to feel good? Check out my interview. I was featured in an LA Magazine called LA Voyager as an influencer in the Los Angeles area. I shared more of my own personal story and also why I want to inspire everyone to lower their toxic load. Whether you currently are well, or if you are struggling with chronic illness, this interview will give you some insight into the root causes of getting well and staying well. I started my 12 part series on health on Moniques’ podcast. Monique is a great listener and interviewer, and I am very grateful for the opportunity to share information with her loyal followers. Our first episode was on Organic, vs Conventionally Grown vs GMO foods. Why you want to eat organic. The Clean 15/ Dirty Dozen. Why Organic is worth the cost. This ended up being a great interview and it is jam packed with great information about cleaning up toxins and my book It Feels Good to Feel Good. We also touched on how much I love to coach and help others return to wellness. Whats the connection with being authentic? Well I have walked in my clients shoes, and told that I was going to live a life of pain and pills. I stopped everything, owned my own health and returned to wellness. My clients respond to how authentic I am because I know and can “feel” their pain. I had the opportunity to speak last week to Martin Ramos community group. I met Martin through the Chamber of Commerce. (Monrovia, CA) Martin is an ambassador. It was an honor to speak to his group. Its a fun tape to listen to Thank you Martin. I am passionate to help everyone discover what i have learned to be healthy and thrive. Donnie is a great guy and I had a wonderful time being a guest on his show. He is a great interviewer. He has a podcast that is in the top 100 on ITunes, that you should listen to. This is the link to the podcast that I did with him. 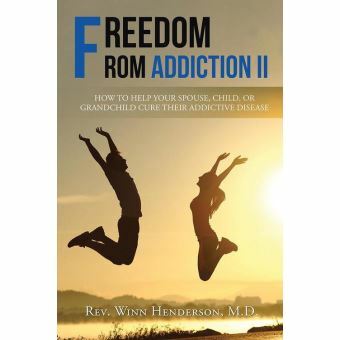 Reverend Henderson has the longest running spiritual show and usually covers addiction. As a medical doctor, he decided to interview me about my book and toxins, and loved my passion to let the world know about where the toxins are and how they are making us sick. We did get to cover sugar addiction, how how it lights up the brain like a pinball machine, and turns off our hormones that regulate our appetite. It was a great show. This was fun, because I had 7 minutes to do my “elevator” pitch about my book and the dangers of toxins. Its a quick listen and well worth your time.